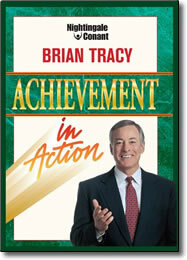 Achievement in Action DVD by Brian Tracy – Discount! Go ahead, dream big dreams. Then let Brian Tracy show you how to make all those dreams come true. It’s not wishful thinking…it’s the psychology of achievement. The mindset Brian has spent his entire career researching. It’s a way of thinking and taking action that leads you inevitably to the achievement of the goals you pursue. You’ll learn how to use “blue-sky” thinking to creatively project yourself into the future, then how to plan backwards until you create the path to your goals.